But the problem did not disappear, and Paul became increasingly forgetful. A few months earlier, a routine check-up had revealed that Paul had high cholesterol levels; at 9.7 these were well above the recommended limit of 5. So, like six million other people in the UK with raised cholesterol, Paul was prescribed a statin to reduce his risk of heart attack or stroke. 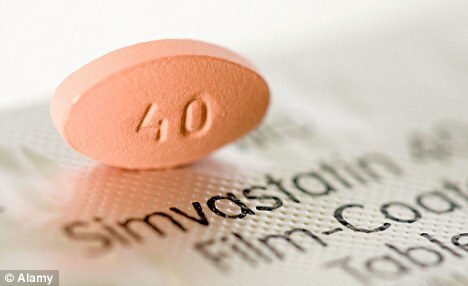 He was given the standard 40mg daily dose of simvastatin - the most commonly prescribed statin in the UK. Not long after, he developed his troubling symptoms - symptoms which have since worsened, leaving Paul, now 64, largely dependent on a wheelchair. He is convinced that statins are to blame. Worryingly, his story is far from unique, with new evidence suggesting many more people than previously thought suffer adverse reactions to the drugs. Until recently, the acknowledged side effects included muscle pain and damage, gastro-intestinal problems, headaches, joint pains and peripheral neuropathy (nerve damage and loss of feeling in the hands and feet). Then last November the drug safety watchdog, the Medicines and Healthcare Products Regulatory Agency, issued warnings about five 'new' possible side-effects: memory loss, depression, sleep disturbance, sexual dysfunction and a rare lung disease. These had, in fact, been highlighted by the MHRA nearly two years before, after adverse reactions were reported through its yellow card scheme - where health professionals and patients report any suspected side-effect associated with a drug. According to the MHRA, there were 3,505 reports of suspected adverse reactions involving statins and cognitive function, memory loss and nerve damage between 2005 and 2009. 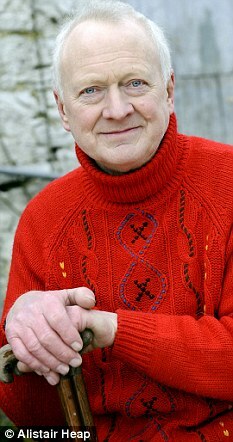 However, GP Malcolm Kendrick, author of The Great Cholesterol Con, believes the true number is much higher. 'A maximum of one per cent of adverse events are actually reported. So this figure represents the tip of a very large iceberg. Other evidence is emerging to suggest the rate of side-effects is much higher than thought. Previously, only one per cent of patients were said to suffer some type of statin reaction, but a study at the University of California suggests the figure for muscle pain - the most commonly reported reaction - was nearer 20 per cent. Another study published in the Primary Care Cardiovascular Journal found muscle damage was underdiagnosed. Researchers analysed the patients' records at an 8,000-patient practice and found just one recorded case. But after interviewing 92 patients, 19 new cases were diagnosed. What triggers these side-effects? Muscle pain may occur because statins block the production of co-enzyme Q-10, which is essential for energy production in all muscles. Nerve damage and memory problems may be linked to reduced cholesterol production. Cholesterol is essential to maintain the myelin sheath, which surrounds and protects the nerve cells and is used in the brain to build synapses, which create and store memory. Most doctors argue that side effects are rare, and statins can help save the lives of people who have had a heart attack. The question is whether they should be given to people such as Paul, who aren't otherwise ill but have high cholesterol; or indeed, as some experts are now suggesting, to everyone over the age of 50. For Paul Rhoades, the answer is an unequivocal 'no'. Paul was put on Lipitor, the second most frequently prescribed statin. Although this reduced his cholesterol to 5.5, and his balance and co-ordination problems improved, the muscle pain got slowly worse over the next 18 months, and his legs progressively weakened. Three years after starting on statins, the pain was so bad that Paul was referred to a neurological hospital in Liverpool. 'I had three MRI scans on my back and leg, and made at least 12 visits to the hospital in three years, but no one could offer any explanation. Towards the end of 2008, his neurologist concluded the problems were due to damage to the myelin sheaths in his legs, but couldn't find a cause. Last August, Paul began searching the internet for clues. 'When I started reading people's accounts about statins' side-effects, it all sounded so familiar, particularly the memory problems and muscle pain. I stopped taking the statins immediately. Unfortunately, the nerves in his legs are irreparably damaged. 'I feel angr y about wasting all those years on statins feeling so dreadful, and the fact that I've been left with permanent nerve damage,' he says. Paul has now joined an internet support group, UK Sufferers of Statin Side-Effects. 'Patients are constantly told the benefits of statins outweigh the side-effects but I would dispute this,' says Dr Malcolm Kendrick. This view is highly controversial. Much more representative is Hastings GP Dr Jonathan Morrell, a founder of the charity Heart UK and the Primary Care Cardiovascular Society. 'Most clinical trials have shown patients on statins have at least a 30 per cent reduced risk of suffering a cardiac event,' he says. 'However, we must take notice of the rise in yellow card reports and the MHRA is sensible to issue warnings. This ought to trigger further high- quality scientific investigation.